Showcasing wines from the 2013 Vintage from the Grands Crus Classes of the Medoc, and their equivalents from the Right Bank and Graves (including Sauternes). As is customary, the vintage to be tasted is five years prior to the year of the event: 2013. The 2013 vintage presented numerous challenges for both growers and winemakers alike. The growing season was short, and flowering was late and uneven due to a notably rainy and cool June. The balance of summer brought more irregular weather, with a dry and hot July and even an August hailstorm. Harvest started earlier than normal for a late-flowering year, as winemakers worked to avoid the onset of rot brought by the rainy and humid September conditions. However, improved viticultural practices and more effective fruit-sorting enabled the more conscientious producers to make surprisingly successful wines. In general, 2013 is a small vintage of medium-bodied wines with moderate alcohol, modest tannin and above average acidity. It is an excellent year for the sweet wines of Sauternes and Barsac. The tasting allows the opportunity to taste a comprehensive range of crus classes from the most prestigious appellations of Bordeaux. 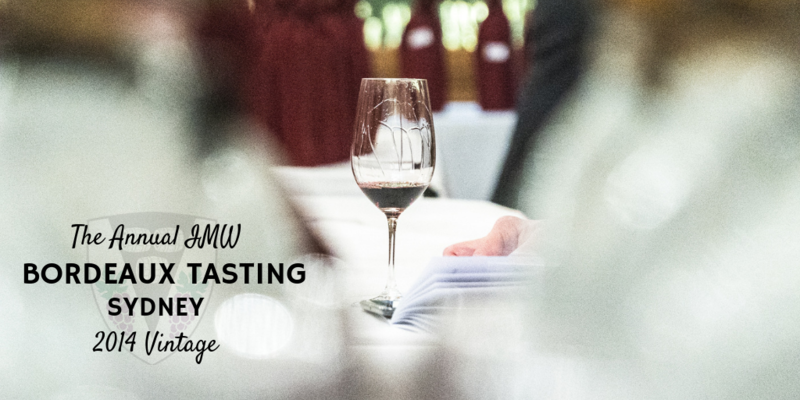 This event is limited to assure that the wines are tasted in optimal conditions. An educational rather than a promotional event, representatives from the chateaux will not be in attendance and tasters are encouraged to taste at their leisure so as to form an independent idea of the vintage and the wines. A number of Masters of Wine will be in attendance and prepared to respond to your questions and comments. Tickets for the Masters of Wine 2013 Bordeaux Tasting are $135 per person for the public. MWs and MW students $105.